If you are looking for a professional jet washing service to help you with your cleaning chores, you are in the right place! 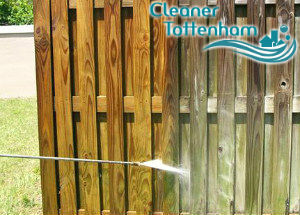 Our company is a number one cleaning services provider and we have been operating in Tottenham for many years. We have perfected our service and approaches, and we dare say we always achieve a high customer satisfaction. Our cleaners are very good at what they do, and they are equipped with the best technology to do it. What is more, our prices are very reasonable and convenient. Call us now. Our company has been around for many years, and we know how to give our clients what they want and need. We have modern technology, hard-working cleaners, reasonable prices, and we understand very well that every clients and their home is unique and different, and require specific needs, and we are prepared to take care of them. Our cleaners have experience cleaning all kinds of surfaces and getting rid of various cleaning problems. 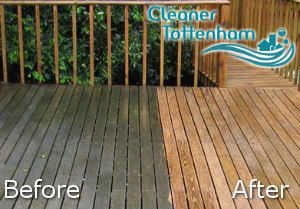 You can hire our jet washing service to help you clean your walls, or driveway, patio or decking, etc. Our cleaners have the necessary equipment to clean any of them quickly, safely and efficiently. We will clean tarmac, paving slabs, concrete, brickwork, natural or re-constructed stone, etc. Our pressure washing machines can clean any of these materials easily. If you want a spotless and brand-new looking outdoors surfaces, call us and book our impeccable jet washing service now. We will prove to you that it is the best one in N17. Our results are outstanding and our prices are jaw-droppingly low. Call us now.